A Birmingham schoolboy killed in a grenade blast at an apartment in Sweden had just celebrated his eighth birthday, his grieving father has said. Yuusuf Warsame had marked the occasion two days after flying out with his brothers, sisters and mother to visit relatives in the city of Gothenburg. He was sleeping in the living room of the flat when a hand grenade was thrown inside, detonating at about 3am on Monday. His heartbroken father Abdiwahid Warsame said Yuusuf's mother had cradled the boy in her arms as he died. The youngster, who was a pupil at Nelson Mandela Primary School in Sparkhill, Birmingham, was asleep in the same room as his nine-year-old sister Aisha and little brother Ahmed, five. Both were left in shock but escaped with just "a few little scratches''. Father-of-seven Mr Warsame said it was a "miracle'' they had not all been killed. He said: "When I heard the news I had to sit, I could no longer stand up. My wife's heart is broken. "She told me that he died in front of her. She was covered in his blood. He added that Yuusuf's bereaved sister Aisha was also asking for her little brother. Mr Warsame, who spoke to his family on the phone on Monday afternoon, said: "Both of the younger children are struggling, especially Aisha. His other two young sons, Ibrahim, 14, and Abdiraham, 16, were sleeping in another room at the time of the explosion. The violence was linked by Swedish media to a gangland feud, with police being quoted as saying a man convicted of a fatal shooting last year was registered at the address. Mr Warsame, who is a Dutch national, has said he is desperate to fly out and join his family in Sweden but has been told by the authorities for the Netherlands they need a copy of the boy's death certificate before they can issue him with travel documents. 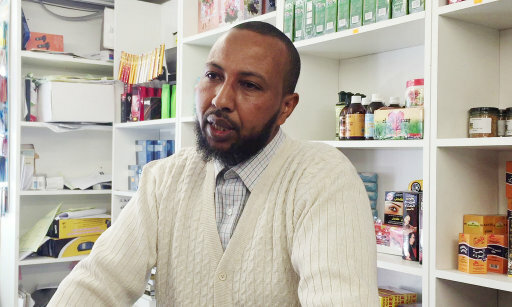 Shop owner Mr Warsame said: "I don't have the death certificate because when I spoke to the hospital in Sweden they said it's too early for them to issue it. He said he had spoken to the Swedish police about the blast but they could only tell him their investigation was continuing. Mr Warsame, who runs a Birmingham grocery store, also revealed his son had celebrated a birthday on August 15. The trip to Sweden had been one of the things that all the family's children had asked to do. He said: "In our culture we don't do anything specifically for the birthday, but when our children want something I try to get it for them. Mr Warsame said his son loved football and swimming. He added: "He was a strong swimmer. 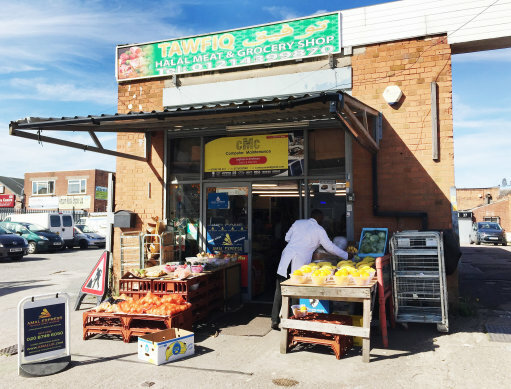 News of the boy's death has shaken the Midlands' 30,000 Somalis, according to community leaders, and there has been a constant stream of mourners to the family's grocery store, wanting to pay their respects. Sitting in a community cafe opposite the shop, Abdi Hussain, chairman of the Somali Community Organisation, said they were waiting for answers from the Swedish police as to how an innocent boy had come to be caught up in such a violent attack. He said: "There's a feeling of immense sadness for what has happened. He said the community in the Sparkhill area was tight-knit with many Somalis from Sweden, Denmark, Norway, the Netherlands and Belgium making their home and livelihoods there. Mr Hussain added: "When the time for the funeral comes we will ask what the family need of us, and what we can do to help. "Because the community here - there are lots of connections, and we are close.